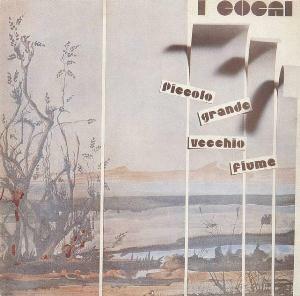 I Cocai were one of the many one-shot bands of the Italian progressive rock scene of the seventies. We asked Pierluigi Pandiani, guitarist and flutist of I Cocai to tell us something about his old band. When and where did I Cocai begin life? Who were the musicians involved in the project? 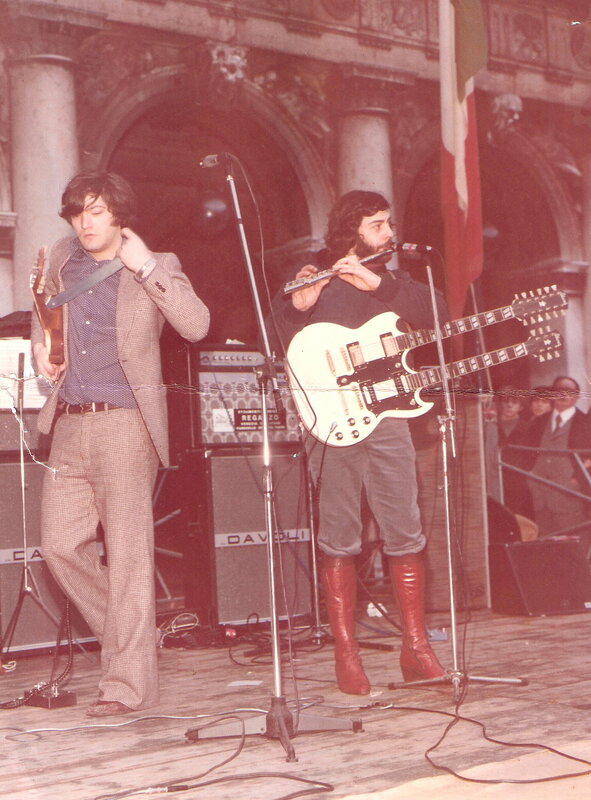 The band was formed in Venice in 1970 with a line up featuring Amedeo Biasutti (Theo), Pierlugi Pandiani (Gigi Pandy) and Luigi Turin (Tury). Later Amedeo’s brothers Steny (Stefano) and Paul (Paolo) joined the band. Tury and I are cousins. We went through several names that changed on account of the gigs and of the different venues where we did play such as dancings, music contests or festivals. So we called us: 1) Draps; 2) New Draps; 3) Baronetti and, eventually, 4) I Cocai that in the dialect of Venice means the Seagulls. How was the music scene in Italy when you started your career and which bands were you influenced by? I think it’s an easy answer. In the sixties in the Italian music scene you could find nothing but melodic bands influenced by The Beatles and The Rolling Stones such as Equipe 84, I Camaleonti, I Ribelli, I Dik Dik etc. This kind of music was in fashion and this is what the music business was looking for. Progressive rock was popular among students and in the intellectual circles where there was more focus on the new artistic movements, especially those coming from the United States such as the “Beat Generation”, the “Summer of Love”, Woodstock... We used to listen to many bands that were not so popular but very interesting for us, for instance East Of Eden with their album “Snafu” who made us know new instruments and sounds. For example, from Eko guitars we moved to Gibson or Fender, the twin necks, sound effects such as distortion, flanger or the mouth tube, things that were unknown to us, as Vox or Marshall amps, as Hammond organ with the “turning effect”, or the “speech” in the flute and sax (as Jethro Tull) or the use of percussion as a solo instrument and not as a simple metronome or the predominant use of bass guitar played with the slap technique or with a pick. A whole set of striking new sounds more suitable to a society that was radically changing, and not without traumas, and to the new major movements of thought. It's clear that today's young music lovers have heard just some echoes of the Italian music scene of the seventies. 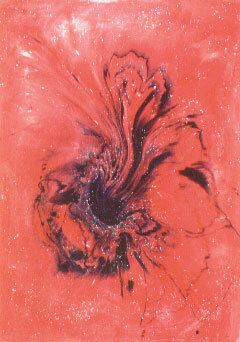 Until the advent of the overpowering rock wave, in Italy the so-called “musica leggera” (easy listening) consisted of what was presented to Festivals or music contests and the music business was focused only in what was considered commercial and consumer-friendly and not in what was considered brilliant and innovative. Did you play many gigs? Did you take part to some festivals or shared the stage with other bands? 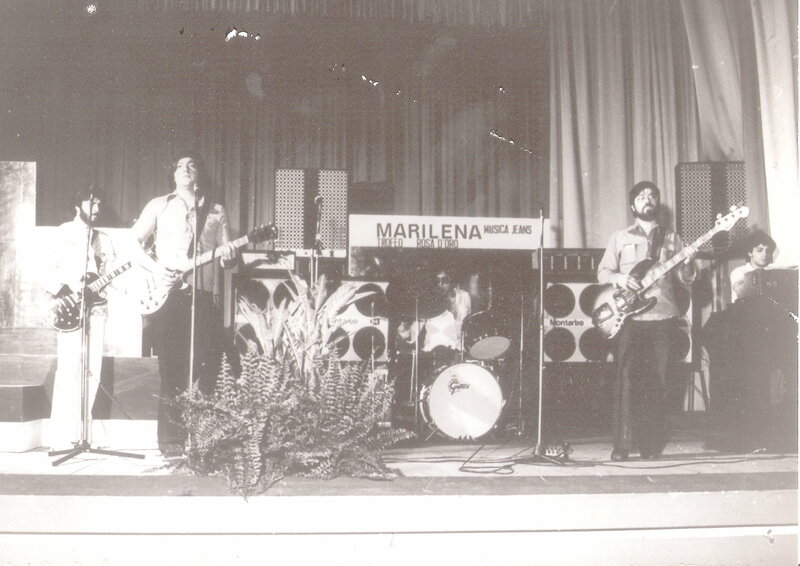 We took part to many music contests such as “Musica jeans” in 1974, “Rosa d'oro” in 1975 and “Cantaveneto” in 1976 but the results weren't very positive since the style of our performances were completely different from the style of the other bands. As for the concerts, well, after the first one at the Arsenale Theatre in Venice, we did play in Piazza San Marco some days after the concert of Paul McCartney & The Wings in the period of “Band On The Run”. Then I remember a concert at the Rondanini Theatre (Villa del Conte) in 1975... Well, we played many other gigs with positive results and our concerts were appreciated by the public. Until 1978 they invited us many times to perform in local TV shows and in that period some local FM radio stations used to play our pieces on a daily basis. The Italian prog scene of the seventies gave us many albums. What are your favourites and what albums would you suggest listening to? After forty years it is difficult to remember but if I had to give recommend you something I would say PFM, Banco del Mutuo Soccorso, Area, Tomsome, New Trolls and many other unknown bands that you can find in the archives. What can you tell us about the recording sessions of your album “Piccolo grande vecchio fiume”? Those days were the hot days of the student riots. We recorded the album in Bologna and when we arrived in the city there were police everywhere and riots in every square corner. The atmosphere was really hot. At the Fono-Print, the studio of our record label Fonit Cetra, we found a great collaboration and we had the chance to work with an excellent sound engineer, Maurizio Biancani, who later became one of the most appreciated sound engineers all over Europe. We used an impressive Studer 32-track recorder that for us was almost intimidating. You know, we used to play live all together and for us was really shocking playing our parts alone in turns. I remember that before the recording sessions we used to drink grappa aromatized with honey trying to find the warmth and emphasis we were used to, the feelings experienced thanks to the contact with the public and that made of every single performance an event, unique and different from any other event, even if the songs were the same. Anyway, I think that we did very well if you consider that we recorded the whole album in just 48 hours when on account of the complexity of our work we would had need no less than a month. The mix was completed in one day and that's why we couldn't refine the overall sound but, you know, the recording sessions were expensive, we self-produced our album and we couldn't afford higher costs. Can you tell us something about your experience with the music business? Did you have a manager? Who was your executive producer and what role did he play during the recoding sessions? In that period the Italian music business was looking only for commercial products, the goal of the record labels was nothing but making money. That's why we had to change our song “Le mie storie” into “My stories” singing in English. Our vocalist, Theo, couldn't understand a single word in English so I had to write down for him even the right pronunciation. In this way our best piece was turned into an incomprehensible meatloaf while I think that musically it's an amazing piece. There are sudden changes in rhythm, from 4/4 to 5/4 and excellent musical phrasings. We had a manager but he was an old-fashioned man, both culturally and musically, so we dropped him and self-produced our album. Our confrontation with the music business was deleterious because our album was considered difficult to sell. Even our musical scores were considered too difficult and in that period the musical scores represented an important part of the Italian market. I think that one the main flaws of the album was the choice of too melodic vocals. Theo was a good singer but his voice was not the best choice for rock music and during our concerts I used to take charge of the lead vocals on covers of bands such as Deep Purple, Rolling Stones, Beatles, King Crimson or Eric Clapton. However Theo was an excellent guitarist. What can you tell us about the song-writing? Did you have a main composer or the songs were the result of a team work? Well, we had a lyricist, Flanin, while music and arrangements are the fruit of a team work. What are the lyrics about? How important were the lyrics for you? Who was in charge for the art cover of the album? As I told you before, the lyrics were written by Flavio Zanin (Flanin), a teacher of art history and the owner of the Studio Prisma that took charge of the album cover, a remarkable watercolour featuring a “coffe beans writing”. The lyrics were extremely important in the development our musical direction. Our album is a conceptual one that tells the childhood of a man who had lived the Vajont Dam disaster when a landslide and the raging waters of the Piave river, the little big old river, caused the collapse of the dam sweeping away whole villages and provoking 1750 deaths. The emotional impact we felt while composing the music for such a tragic topic was considerable. The album should had been enclosed in a school project along with a book about the story of the Vajont dam, but the project was unfortunately abandoned. Why did you use some nicknames on the album jacket instead of your real names? It was a silly choice. We thought that, since no band from Venice was really successful, we could became famous pretending to be foreigners. But, I repeat it, but we were wrong. Why did I Cocai split up? We disbanded for many reasons, first of all the personal story and the musical background of the members of the band. I and Tury had a rock background, we were interested in experimenting new forms of music while the Biasutti brothers had a melodic background and were too involved in extra-musical activities. So they decided to give up music and run their own trading companies. They did the right thing I think and now they run three restaurants, a hotel and some other shops. Tury and I have continued our musical adventure in other bands as session men. Tury is still in activity and has played with many important musicians (some members of Deep Purple among others). In 1979 I recorded another album, “Ironie”, featuring nine original pieces I wrote, arranged and recorded with the help of Tury and other excellent musicians. Two tracks are in progressive style while the others are soft rock. Unfortunately the album was never released. In your opinion, what are the reasons that determined the end of the progressive rock era? In the late sixties and the early seventies the bands lived together. The members of the bands always worked, played and lived together as in a family. Everything depended on the group, the songs were the result of a collective work, they were the fruit of many brains that joined and some times clashed together. The musicians used to eat and and drink together, they used to share the same rooms. Paolo, Theo and I were already married and had children but we used to spend more time with the band than with our families. With the advent of electronic music this way of life came to an end. 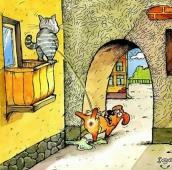 The musicians have become professionals who enter the studio for their recording session, play for an hour and go home. No more exhausting hours of rehearsals. But rock music comes to life in this way, from the meeting and clashing of different personalities with different skills. I used to write some lyrics, write down some melodic lines but for the rest we worked together. Everyone of us could read a score, Steny and Tury had studied at the conservatory while the others had frequented private music schools. Progressive rock has been killed by disco music and techno-electronic music. At that time only singer-songwriters survived. I think that the reason of the come-back of so many historic bands is the need for true, authentic music that you can feel on you skin when listening to, something that could provoke shivers. This is rock, and don't forget soul and blues. What are the old members of the band up to? Are you still in touch? Recently many historic bands have been reformed, is there any chance to see a come-back of I Cocai too? I don't think so. Maybe Tury and I could still play together but the brothers run their own business now, no way! Anyway we are still in touch, all in all Venice is a small town. Is there anything you want to add to this interview? Good interview mate, I need to listen to this again. By the way, I looked at the band's page on PA: http://www.progarchives.com/artist.asp?id=966. There is a note in the bio: "Please contact the RPI team if you can provide a band photo or the actual identities of the "nicknamed" musicians credited". Some photo is at I COCAI page though. Let's try to sort out nicknames. "The band was formed in Venice in 1970 with a line up featuring Amedeo Biasutti (Theo), Pierlugi Pandiani (Gigi Pandy) and Luigi Turin (Tury). 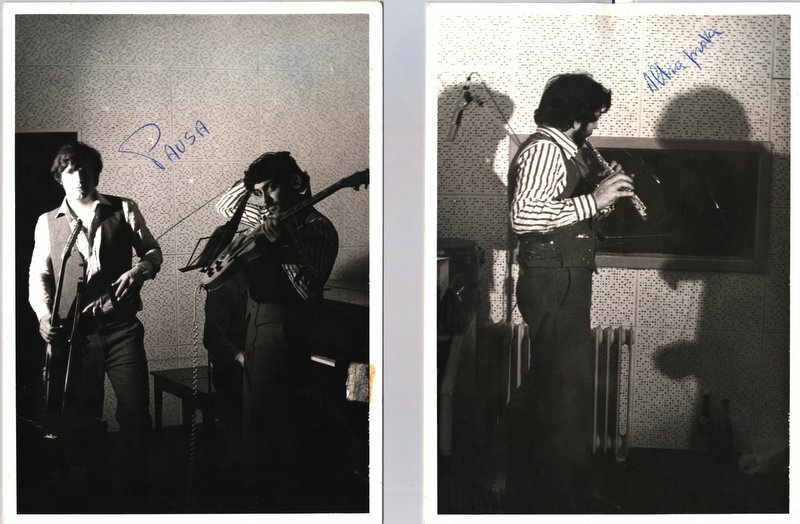 Later Amedeo’s brothers Steny (Stefano) and Paul (Paolo) joined the band." We can update the bio. Does anyone know what's correct - Stheny (with h) or Steny? Thanks, Andrea, now I see how apostrophe is important.